OkCupid takes a step to keep unwanted messages out of users’ inboxes. OkCupid Users Have Long Had to Put Up With Unwanted Messages. That’s About to Change. Women have been asking for this for a long time. This shift will bring the platform more in line with other online dating platforms, such as Tinder and Bumble, on which users can’t message one another at all until both have shown interest in the other. The new OkCupid way won’t be quite so strict—users can still send messages to whomever they want, though those messages will only appear in the recipients’ mailboxes if they indicate that they like the sender—but engineers hope it will help seed more connections while filtering out some messages that will never get a response. Meanwhile, men have told the company that their biggest gripe with OkCupid is that they send a ton of messages to women and get very few replies. Former OkCupid engineer and data scientist Dale Markowitz says one of the main problems with apps with no or low barriers to messaging, like OkCupid, is that a very small proportion of the site’s users get a very high proportion of the site’s messages. Those users are then less likely to respond to any messages, even to people they might be interested in, because they waste a lot of their time picking through random “Hi”s and “ur hot”s. 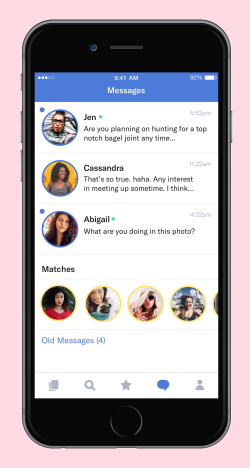 In OkCupid’s new system, users will see blue rings around the profile photos of those who’ve sent them messages and gold rings around those they’ve liked who’ve liked them back. Users who indicate that they like someone can message that person before getting a like back—and if they do, OkCupid will take that as a sign of serious interest, moving them up the recommendation feeds of the objects of their affection. The recipients will only see that message if they choose to click on it. And because eager male users—it’s almost always male users—will know that their messages won’t show up in someone’s mailbox unless that person likes them back, they may choose not to waste their time casting a too-wide net. Markowitz says another major benefit of the new system is that it will help turn passive message-receivers into active participants. “The problem with OkCupid as opposed to Tinder, is that on Tinder, in order to participate in the ecosystem at all, you have to like people,” she says. 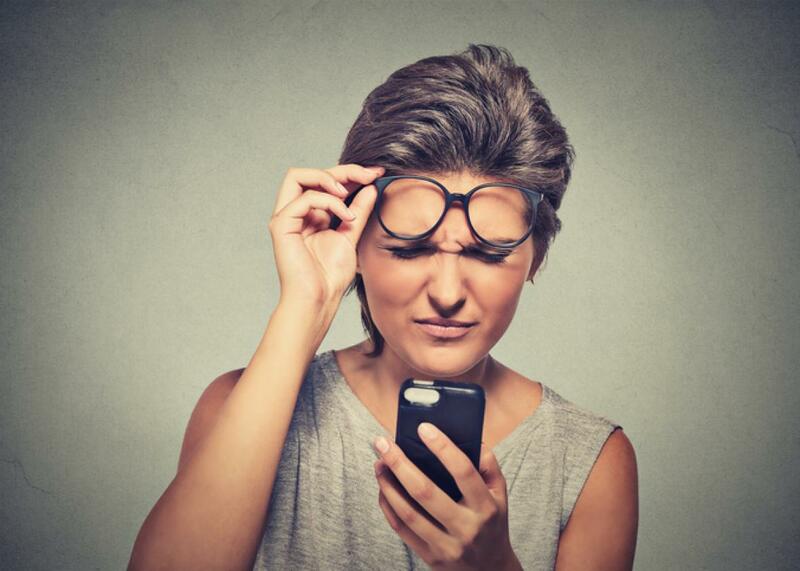 On OkCupid, people—especially attractive women—could simply make a profile and wait for messages to roll in. These users were way less likely to find good matches on the site, because they weren’t making the effort to find the people who actually interested them. A 2016 OkCupid study of the behavior of 70,000 users found that women who initiated contact with men on the site got much higher response rates than men who did the same, and those women ended up chatting with people more attractive than the average guys who flooded their inboxes. Now, if they want to get anything in their inboxes at all, they’ll have to make a move.